A pair of apartment buildings in Capitol Hill and City Park West has sold to the same buyer for a combined $21.85 million. Abulhosn Family II LLC last week purchased Emerson Lofts at 777 Emerson St. for $13.3 million, and Ascent Uptown at 1691 Franklin St. for $8.5 million, according to county records. The LLC, managed by Afaf Abulhosn, originally was registered in Washington State. Seattle-based HomeStreet Bank provided financing for the deal. The buildings were sold by Illinois-based Inland Private Capital Corp., which purchased them in 2015, paying $11.5 million for Emerson Lofts and $7.3 million for Ascent Uptown, according to records. 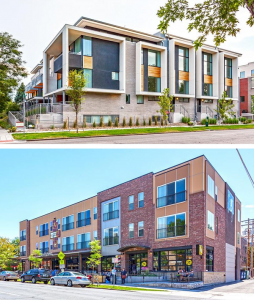 The three-story Emerson Lofts, constructed in 2013, has 42 units and the same number of basement parking spaces, and was 97.6 percent leased at the time of the sale this month, according to the seller. 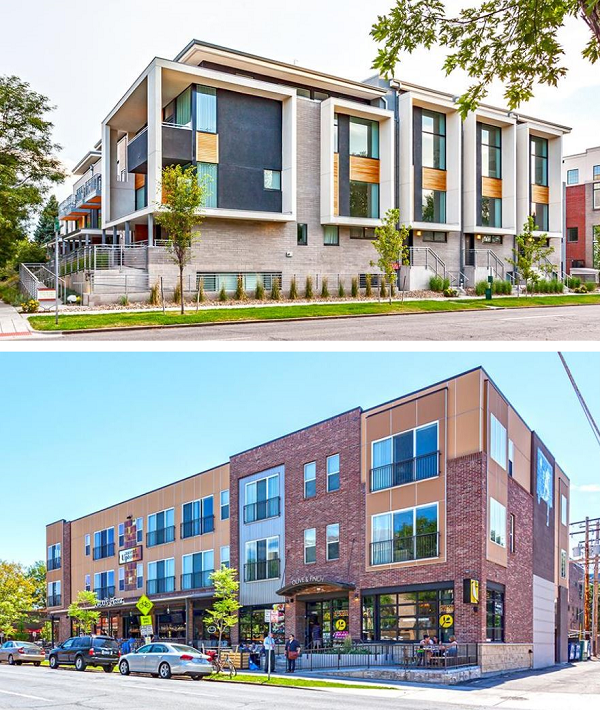 The three-story Ascent Uptown, also constructed in 2013, has 22 units and was 100 percent leased at time of sale. The building also has 5,000 square feet of retail space, currently leased to coffee shop Olive & Finch and restaurant Patxi’s Pizza. Inland still owns a number of multifamily properties in the Denver suburbs, according to its website, including WestLink at Oak Station and West Line Flats in Lakewood.